No matter what type of business you own, when done right, your interior design can help increase sales. A good example that will help you see how important design is when it comes to encouraging consumers to make a purchase is window displays. This old favorite can still turn heads and entice people to come inside your store. It works so well because you have the chance to display your products in a creative and fun way that generates interest. Once consumers have entered your store, a good interior design will encourage them to walk around longer, which is what you need to increase sales. Customers may come in for one specific item but a good design can have them walking out with several different products because the longer people stay in your store, the more things they’ll see that interest them. The window display is a dramatic way to get attention and it does work but there are also many subtle ways that you can increase sales with your interior design. Use visual aids to get your customers to slow down and look around. You don’t want them rushing in and back out again and the best way to prevent that from happening is to give them something interesting to look at. Use signs and displays to get their attention and make them think about the products you have to offer. Use isles to create a path for your customers to walk and this will help you guide them in the direction you want them to go to increase exposure. Place displays at the end of isles to capture the customer’s attention. Isle displays have proven to be very effective over the years. Display the items that are in the highest demand at eye-level for the best results. This way, customers automatically see them without having to search and that increases exposure. Move displays and products around to keep things interesting. You will have regular customers that would like to see different displays and sale items and this will give your store a fresh, updated appearance. Create a comfortable and interesting environment. The more comfortable your customers feel, the longer they will stay in your store and shop. These methods help to increase sales without making you appear pushy, which will also help to improve your company image. Here at J. 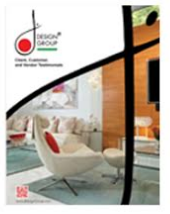 Design Group, we have the knowledge and experience needed to help you create the perfect interior design. Give us a call today to discuss your next project. The second customers walk through your door, they will look at everything from the lighting to the type of flooring you have and you need to make a good impression. They will use this information to determine how they feel about your store, which is why the entranceway design is so important. Keep your store clean, organized and make sure everything is in good shape to help create a positive impression. Since this is when customers form an opinion of your store, it’s not a good place for displays and signage. However, the wall and space to the right of the entranceway is a great place for displays and signs offering special deals. This is because the majority of people will turn right after entering a store and the way you design this area will have a major impact on sales.